Basic GUI provides simpler and faster configuration of ACI elements along with intelligence embedded to enable APIC create some of ACI constructs automatically. Basic GUI is suggested for Green Field and Small Deployments. The Basic GUI doesn’t actually cover every single configuration, so there may be a need to switch to the Advanced GUI. Advanced mode of working has complete 1:1 mapping with complete object model. 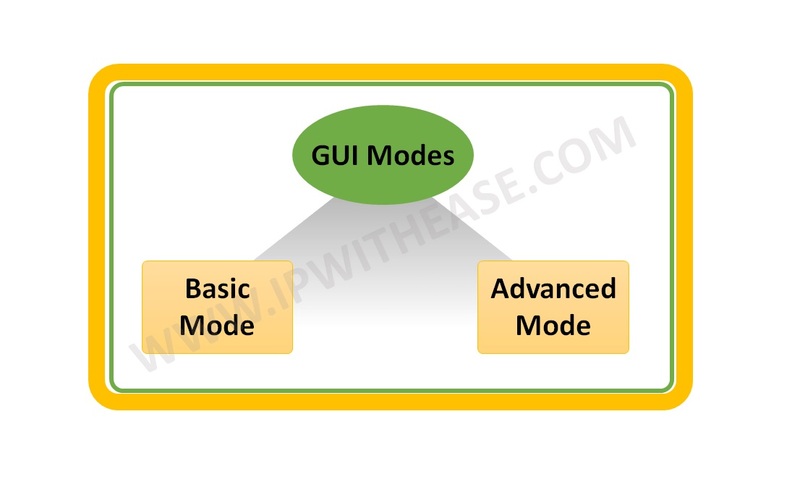 Advanced mode also is the recommended choice when we need to configure multiple ports simultaneously. Switching between the Basic GUI Mode and Advanced GUI Mode configurations within the same fabric is not supported. If a Cisco ACI fabric was initially deployed on the Advanced Mode, it is strictly required to continue using Advanced Mode for configuration deployment. Since advanced mode was launched from starting of Cisco APIC, advanced mode GUI will only manage (not Basic mode) any policy that you created prior to the 1.2 release.